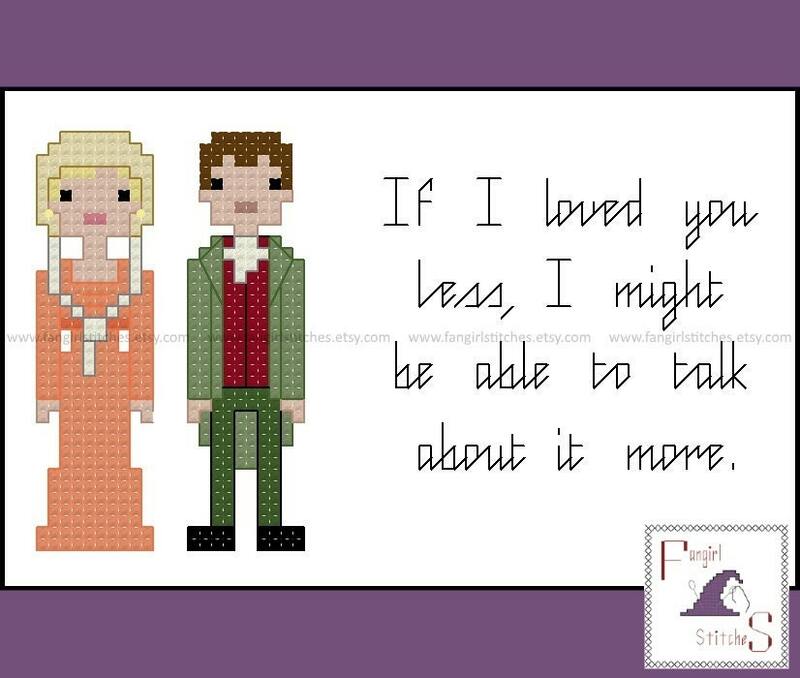 This cross stitch pattern features the main characters from Jane Austen's Emma, Miss Emma Woodhouse and Mr George Knightley, as well as Mr Knightley's proposal. 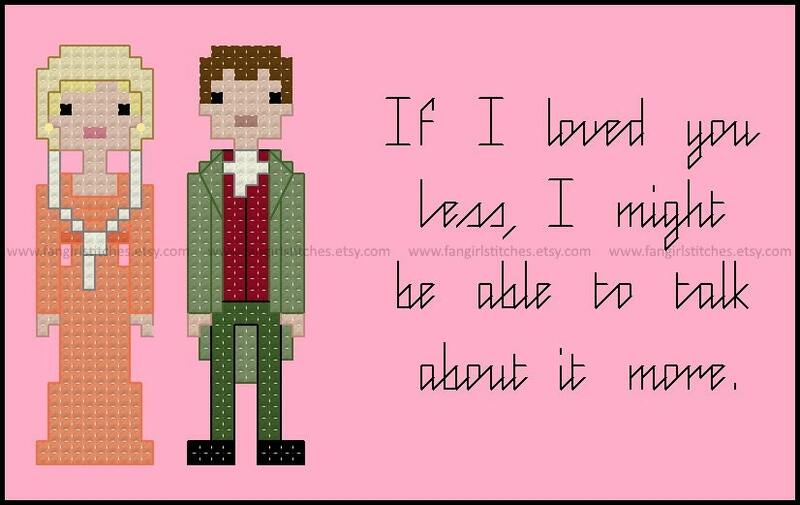 Designed to fit a 4x6 inch frame, this piece could also be turned into a Valentines Day or anniversary card for the Austen fan in your life. Alternatively, visit my shop for patterns from Jane Austen's other novels, or request a customised pattern of your favourite quote. This design includes whole stitch, back stitch and French knots, and is suitable for beginners. The pattern comes with a colour chart, including a guide for starting and finishing your project. The main floss key is in DMC and Anchor although of course you can adapt it to suit your preferred brand of thread, or those left-over threads you have on hand.